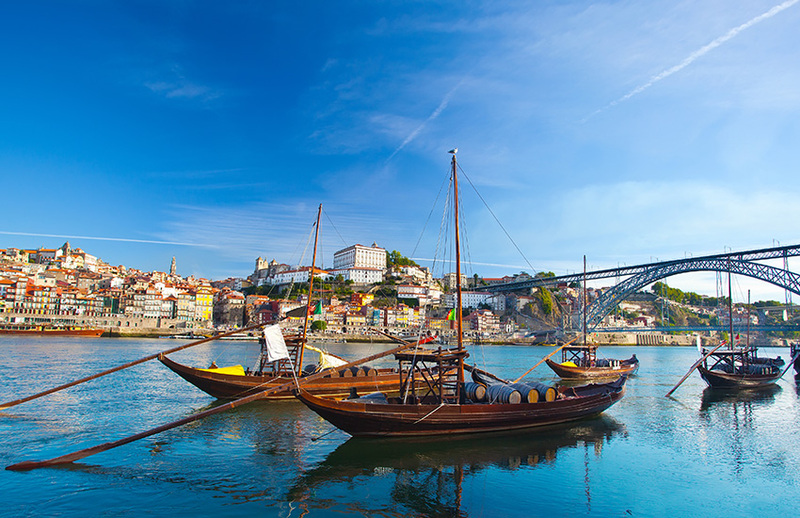 Porto, the country’s second city and a UNESCO World Heritage Site, is the perfect place to sample some of the many varieties of Portugal’s world famous port wine. Lisbon is the capital of Portugal. In recent years it has become a popular place to visit. It boasts a warm Mediterranean climate in spite of facing the Atlantic Ocean. Lisbon is full of white limestone buildings and small alleyways. There is a mix of traditional architecture and contemporary culture. This is a perfect place for a family holiday. 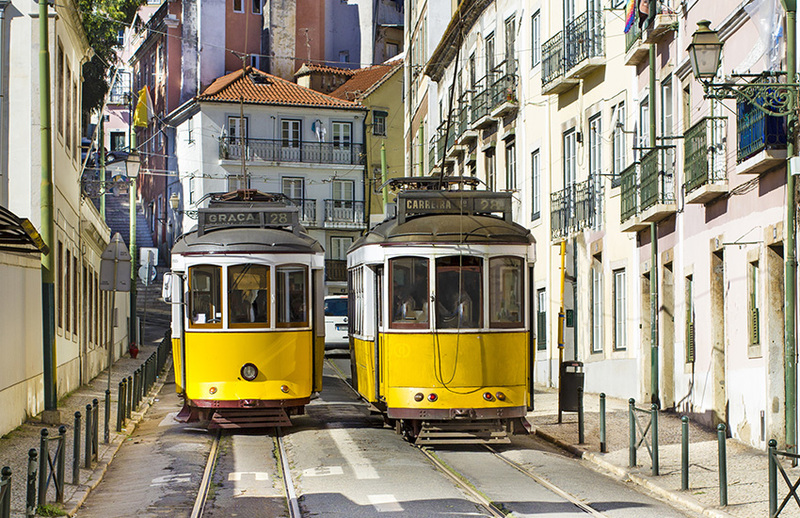 There is a lot to see and do in Lisbon. Exploring the city centre will take a few days. Visit Rossio, the city’s main square, which has a feel of Trafalgar Square about it. There are also plenty of great beaches to visit. Lagos is a lively and historic city. 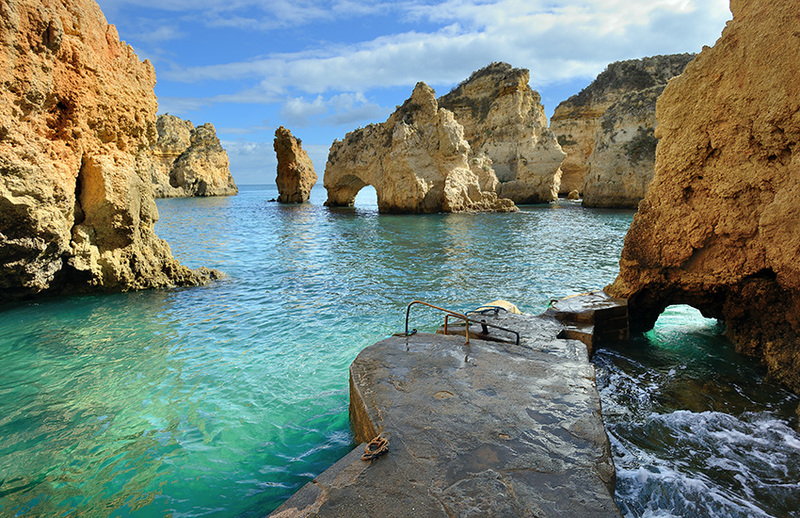 It is on the western Algarve coastline. In Lagos you will find wonderful beaches, great nightlife and an historic centre.The centre is well known for its character and charm. There are various sights and activities in the Lagos region which makes the city a great place to visit for people who want great beaches and also more to explore. 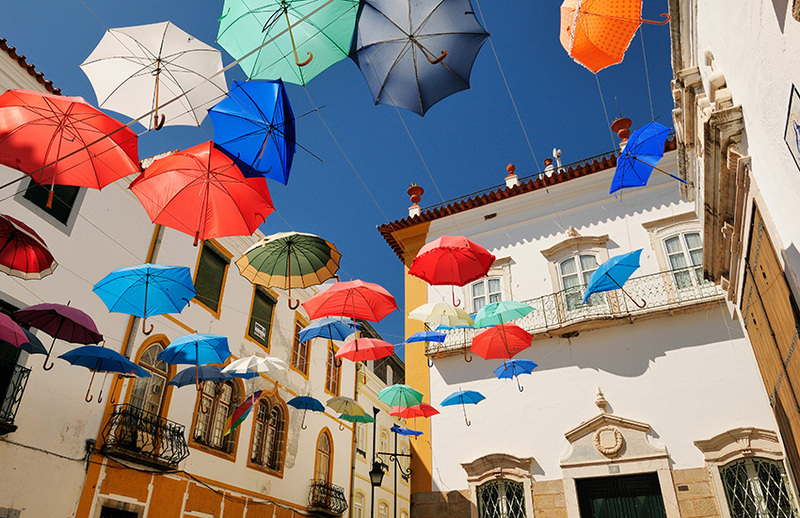 Evora is in the heart of the arid Aentej region in central Portugal. Evora has a variety of tourist sites. It was a centre for both trade and religion. Most of these sights are within the city’s ancient walls. Elvas is near to the Portugese-Spanish border in the far east of the country. 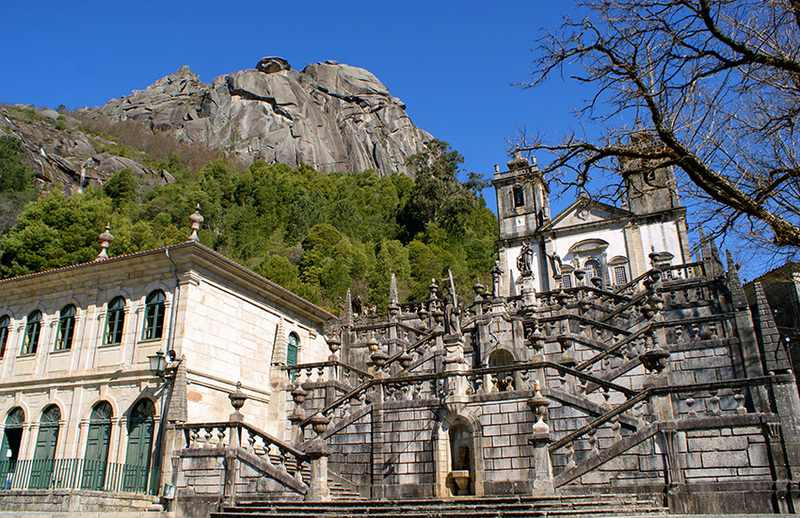 The town receives very few tourists which is a shame because it is one of Portugal’s hidden gems. It is historic and wonderfully preserved, situated on arid plains. 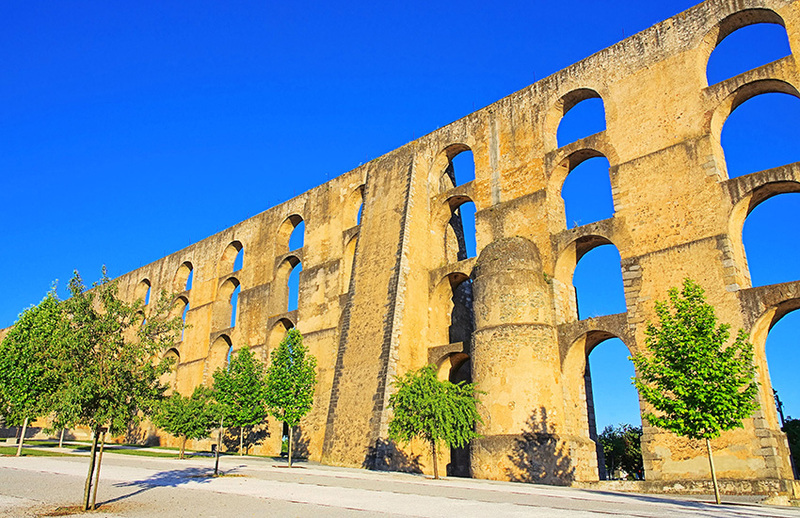 If you do make the journey to Elvas you will be rewarded with a fascinating town rich in history and beauty. Coimbra is a riverfront city in central Portugal, it is Portugal’s former capital. Visiting this city is like taking a journey through history. 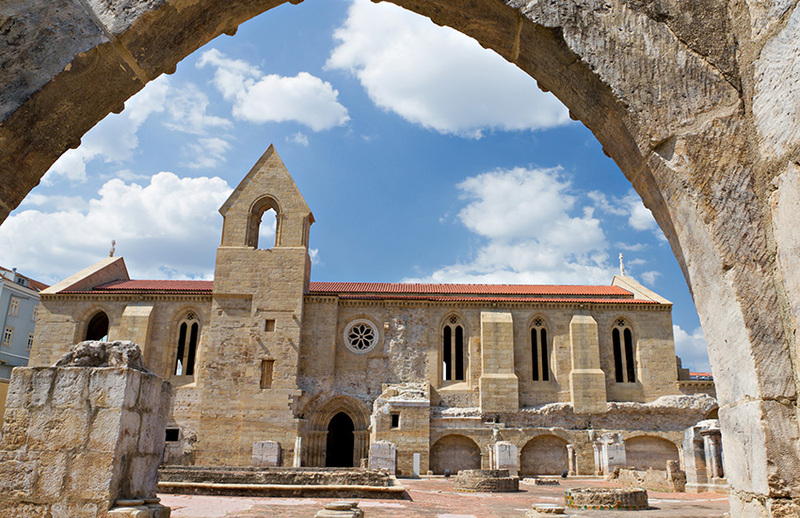 Coimbra was at the forefront of the Roman Empire more than 2000 years ago. It is home to the oldest university in Europe. The city is now both thriving and modern. It is a popular choice for visitors from all over the world. The city is atmospheric, beautiful and flows down a hillside in a lovely setting on the east bank of the Rio Mondego. The buildings are multi-coloured and span nearly a millenium. Porto is the place that gave Portugal Port and also gave the drink its name. Sometimes it is called Oporto. It is Portugal’s second biggest metropolis after Lisbon. The old town is found at Ribeira and is on hills overlooking the River Douro. It is a UNESCO World Heritage Site. The main attraction here is a church called San Francisco which dates back to the 14th century. You can also visit local port wine cellars. These are mostly located across the river at Vila Nova de Gaia. 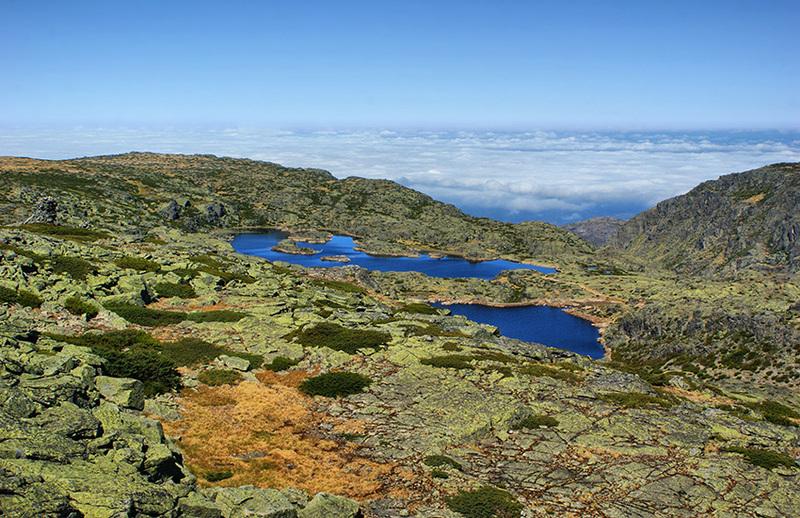 During summer or winter, Portugal’s highest mountains have beautiful scenery where you can enjoy a relaxing break in contact with nature. This is an area of natural beauty and the source of some of Portugal’s main rivers. You can admire glacier valleys and during the summer you can visit lagoons. In cold weather, Serra Da Estreda is the only place in Portugal where it is possible to go skiing, snow boarding or sledging. There is a natural park which is great for walking, mountain biking or horse riding with 375km of trails marked. If you are feeling adventurous you may like to try para-gliding in Linhares da Beira and soar over this historical village. You should also visit the village by foot. This is a park in the Minho region in a place called Viana do Castelo in the northwest of Portugal around 100kms from Porto. In the park you will find more than one hundred granite villages that haven’t changed since Portugal was created in the 12th century. Would you like to tour Portugal in a motorhome?